Have you ever been out hiking and wished you had a walking stick to help keep you from falling? Most people have at one time or another, especially if you spend a lot of time exploring mountainous terrain as we do. Walking sticks have been around as long as mankind. Some families actually pass their walking sticks on to family members, turning these walking sticks into family treasures, and some even go all out with creating a wooden staff, complete with stones, feathers, and other sacred objects incorporated. Walking sticks are great to help keep you steady on your feet. However, they are also a great tool to have while out in the wild: you can retrieve items dropped into a creek, or use it to knock a stuck frisbee from high branches. 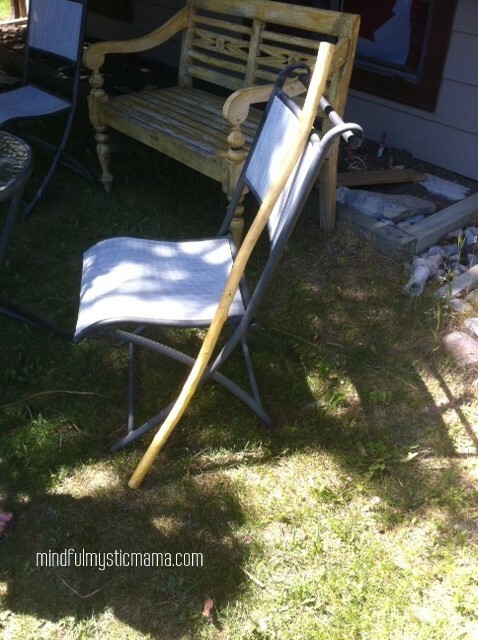 You will find many other uses for your own walking stick. Some families enjoy marking their walking sticks each time they use it. Whether it be a long hike, or a short camping trip, carve a notch, or paint something to remind you of that specific trip. It is your stick, so feel free to add the time and place of each trip. These are the walking sticks that most often become treasured family mementos. Most people are fine with a stick that is about 1¼ inches across. Find a nice solid stick; you want it to be able to take a beating, but not break. You want it strong, but not so heavy that you are tired a few minutes into a walk. Hardwoods such as oak, maple, hickory, and mesquite make the best walking sticks. Stay away from pine, fir, or spruce: this type of wood continues to ooze sap, and the wood is not strong enough to withstand the pressure from walking. An added bonus: look for a stick that has a natural bend at one end. This will give you the perfect handle! Don’t worry if it is too long; you can always use a saw and cut it to fit. This is especially important if you are crafting a walking stick for a child. …as well as what you plan to use the walking stick for, determine exactly how long you want it to be. 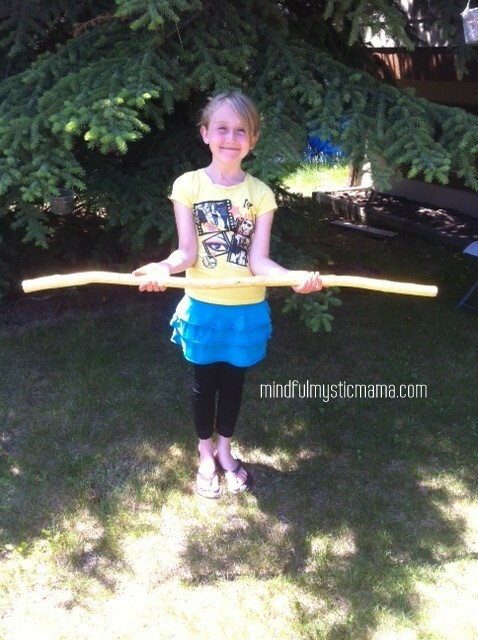 Most people are comfortable with a stick that is about waist high, or just above their hips. Arm length will also determine length. You want to be comfortable while walking. Start by taking all the bark off the stick. If you cannot remove it by hand, you can use a knife and whittle it off. (60-80 grit) and sand and shape the stick until it is smooth. Continue sanding as you work your way up to using a fine sandpaper with a 400 grit. …or a commercial waterproofing sealant, coat each end of the stick. Let this dry before using your stick. Depending on the freshness of your wood, your walking stick needs to cure for weeks, months, even up to a year. You can, however, use the stick while it is drying out. You can simply wax your walking stick, or you can use either linseed oil or tung oil first, and then apply some wax after you are done oiling. Either way works. To keep your walking stick in prime condition, make it a habit to oil or wax it at the end of every season of use. If you use it a lot then you may want to oil or wax more frequently. A good walking stick should last your lifetime and beyond. 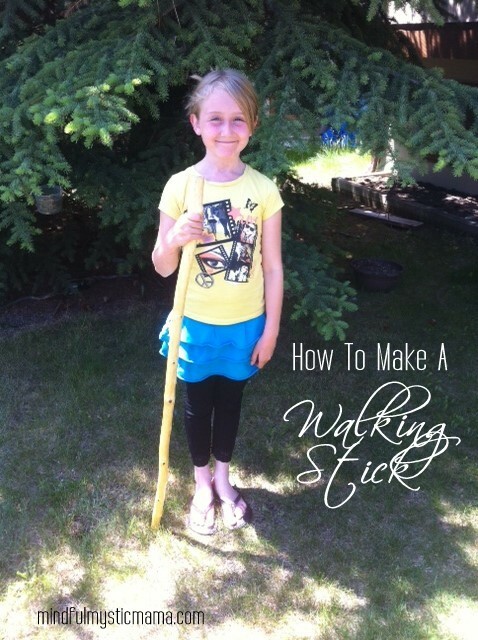 Craft your own walking stick and start making your own family memories.